Nirmals Sharma and her organisation have done immense social work in Delhi. She confronted the corrupt practices in police and Judiciary with ful vigour. Her intention is only to help those who cannot defend themselves. By reading this book one can understand the problems which a social worker has to face even in the capital city of Delhi, not to talk about the far flung areas of the Country. 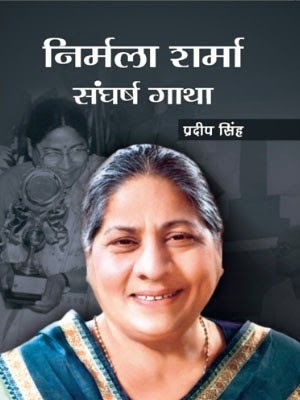 Important thing is that the book also gives the solution of those problems by giving live examples from the life of Nirmala Sharma. Speciality of the book is that it does several expose regarding some of the well-known celebrities like Arvind Kejariwal.